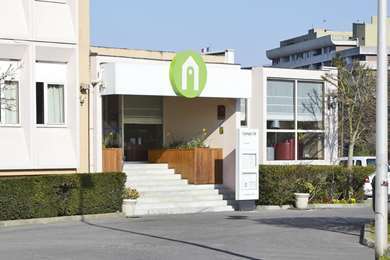 The Campanile Nogent Sur Marne Bed and Breakfast hotel is ideally located on the banks of the Marne, to the East of Paris, at the junction of the A4 and A86 motorways, a stone's throw from the floral park at Vincennes. 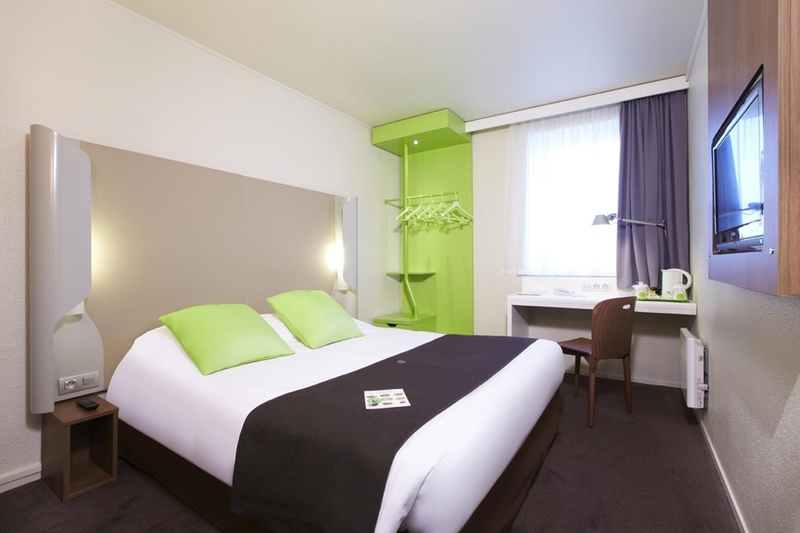 Our 3 star Nogent Sur Marne hotel has 86 air-conditioned New Generation rooms, which are suited to anyone travelling for business, pleasure or with family. The hotel also has conference rooms for your training workshops and a restaurant which seats 68 in the main room and 20 on the terrace. The B&B hotel is open 24 hours a day! 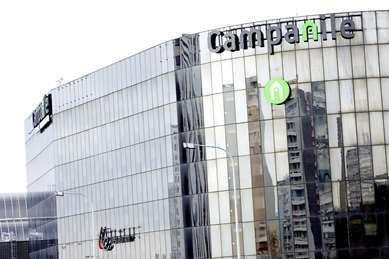 Your Campanile hotel is close to both the Nogent/Le Perreux train station (RER line E), which connects to the Val de Fontenay station (RER line A), and the Nogent sur Marne station (RER line A). 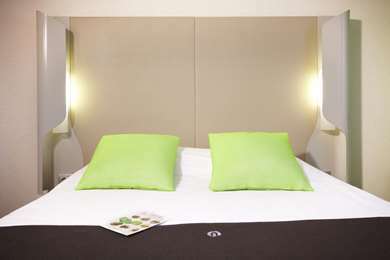 The B&B hotel is 15km from Charles de Gaulle and Orly airports. Le Bourget airport is 20km from the hotel. 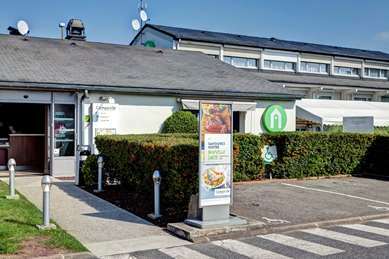 At just two minutes from your Nogent sur Marne hotel you will find an Olympic swimming pool, sports centre, Tremblay park (nine-hole golf, tennis court, football pitch, bowling green), the Baltard pavilion and the Vincennes racecourse. Discover our attractive conference packages, including half- or full-board. Our conference room is air-conditioned and equipped with a flip chart, video projector, flat-screen TV and Wi-Fi. Sweet and savoury refreshments will be provided. 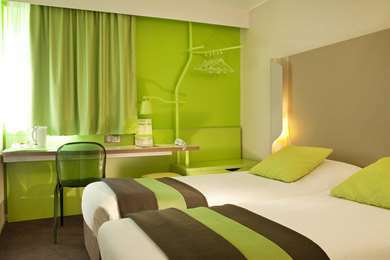 Are you looking for a hotel in the Parisian region on the Campanile website today? Finding an affordable hotel in Ile de France is easy with Campanile. 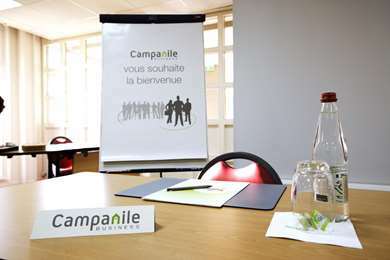 We recommend the Campanile Nogent sur Marne. 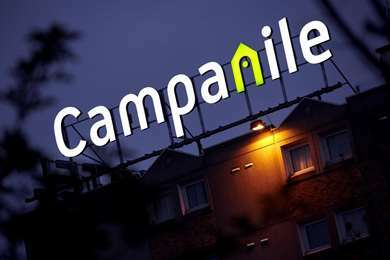 When you book with Campanile, you are guaranteed a comfortable room at the best price. If you book a room at the 3 star Campanile Hotel Nogent sur Marne you will be in a superb location, just 15 km from Disneyland Paris and 15 km from Charles de Gaulle airport. 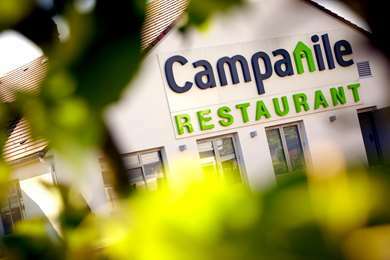 Visit the Campanile website in order to take advantage of the best deals and up-to-date special offers! Book online or on your smartphone using the HotelForYou application for iPhone, BlackBerry and Android. You can find the hotel nearest to you, find information about its facilities and check room availability. 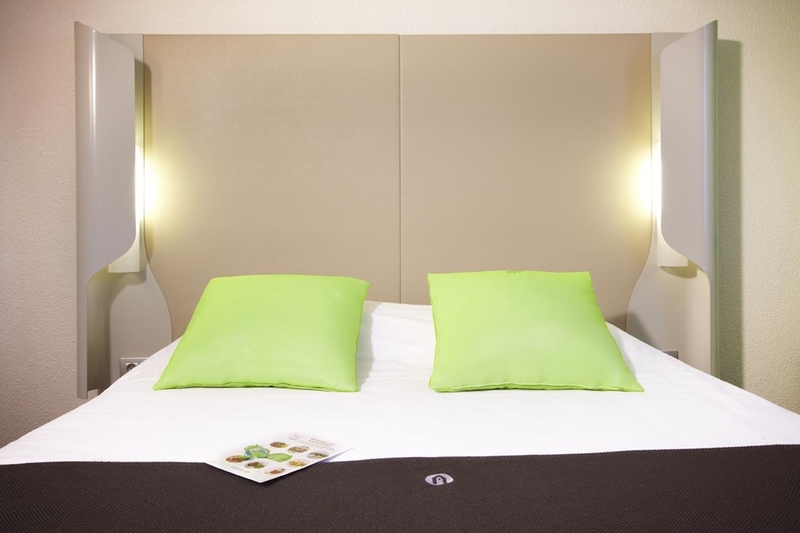 See you soon in our 3 star Ile de France hotel! All rooms at your Campanile B&B Hotel Nogent sur Marne were fully-refurbished in 2012. We have doubles, twins, triples and interconnecting rooms, choose the one which is best for you! All our rooms are air-conditioned and fitted with a flat-screen TV, free Wi-Fi, telephone, bathroom with bath or shower, and a welcome tray with kettle. The ample breakfast buffet at your Campanile hotel is available from 6.30 to 9am (10am at the weekend). Whatever your tastes, with our buffet you can build your dream breakfast, including fruit juice, hot drinks, cereal, pastries and cold meats. 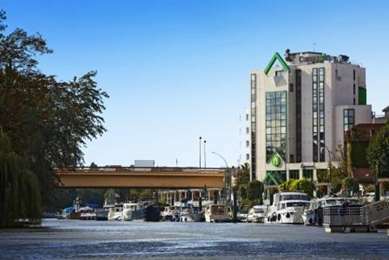 From 12 to 2pm and from 7 to 10pm, your Campanile Hotel-Restaurant Nogent sur Marne offers a choice of gourmet buffet options and menus to satisfy any appetite. And if you prefer to take your meals in your room, room service is available until 10pm. From the motorway A4 : exit Nogent-sur-Marne, then follow Nogent. Be careful : don' t take the exit A86. RER line 4 station : Nogen-sur-Marne. RER line E station Nogent-le-Perreux. Connexion RER A and E at the station Val de Fontenay.